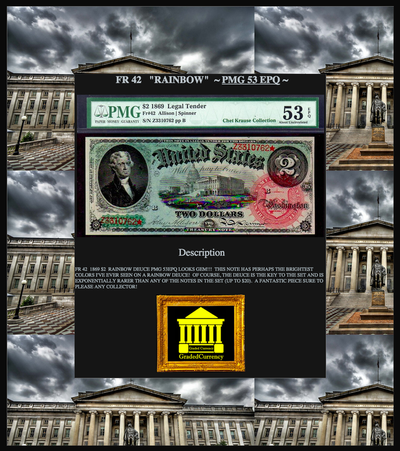 FR 42 1869 $2 RAINBOW DEUCE PMG 53EPQ LOOKS GEM!!! THIS NOTE HAS PERHAPS THE BRIGHTEST COLORS I'VE EVER SEEN ON A RAINBOW DEUCE! 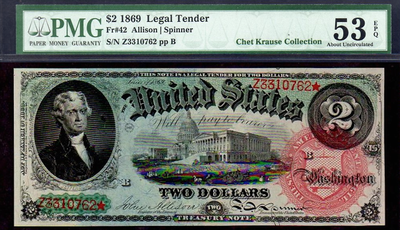 OF COURSE, THE DEUCE IS THE KEY TO THE SET AND IS EXPONENTIALLY RARER THAN ANY OF THE NOTES IN THE SET (UP TO $20). 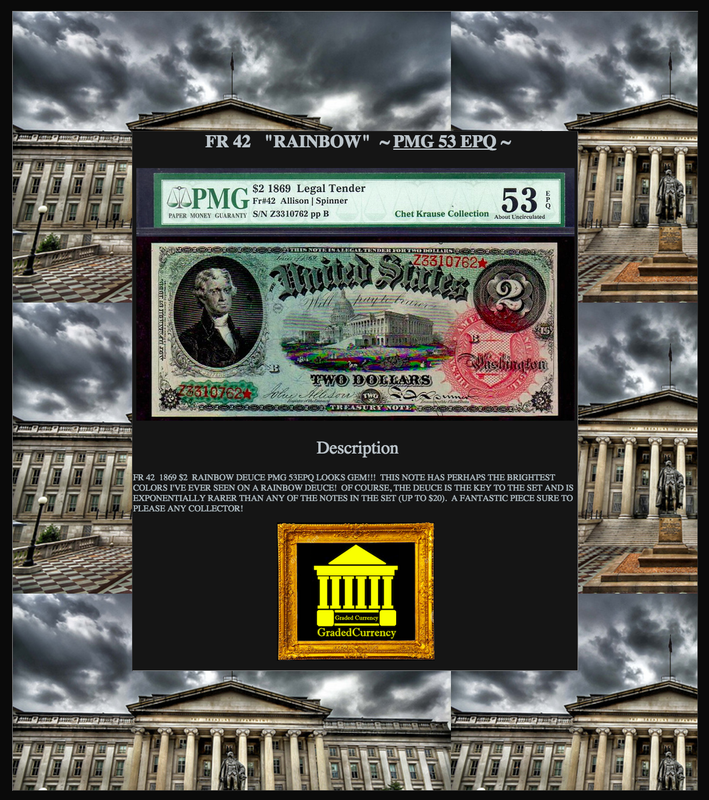 A FANTASTIC PIECE SURE TO PLEASE ANY COLLECTOR!